As the Encyclopaedia of Hindi Cinema writes, Hindi films, made primarily in the western Indian metropolis of Mumbai, have "witnessed an exponential growth in recent years, both in terms of commercial potency and geographical reach." Some of that growth can be traced back to one film, in particular. 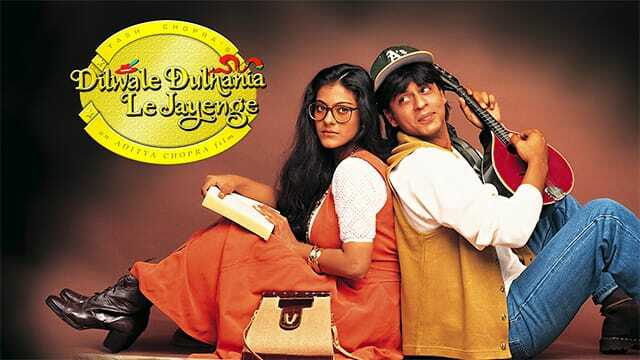 Dilwale Dulhania Le Jayenge recently celebrated its 20th anniversary. Literally, The Big-Hearted Will Take Away the Bride, this evergreen story of a young man in love with a girl whose father does not approve, celebrates the best of Bollywood. Dilwale Dulhania Le Jayenge fuses stunning performances by Shah Rukh Khan, Kajol, and the late Amrish Puri, in particular, with scenery from India, London, and Switzerland, and a joyful soundtrack featuring Lata Mangeshkar, Kumar Sanu, and Udit Narayan. "Whatever I'll stand for as an actor, in the whole of my career, whenever it ends, it will start with and end at Dilwale," mused Shah Rukh Khan in 2002. The Encyclopaedia of Hindi Cinema credits this movie with bringing home to Indian directors the importance of every little visual and physical detail. There is nothing quite like Hindi cinema anywhere in the world. As the encyclopedia's editors note, the importance of Hindi films stems from two prinicpal attributes. For one, they represent the only means of mass entertainment available in India. Secondly, they cut across regional boundaries and bind the entire subcontinent and its people together, no matter where in the world they currently live. Write editors Gulzar, Govind Nihalani, and Saibal Chatterjee, "Hindi cinema weaves its magic from Kashmir to Kanyakumari, from Bhatinda to Birmingham, from New Delhi to New York with the aid of its grand sagas, larger-than-life stars, and its enormously popular music." As for Dilwale - believe it or not, the film is still being shown at the Maratha Mandir theater in Mumbai.